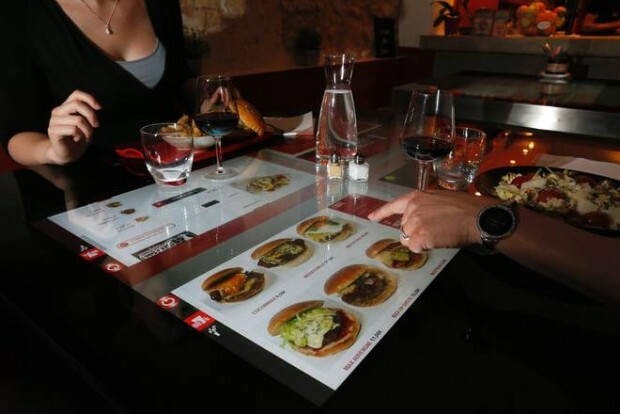 Among the new trends of 2018, concerning the management of the restaurant we find the Digital Restaurants. 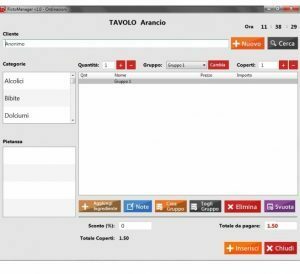 In this article we will try to understand together what is meant by Ristorante Digitale and what the customer will be able to do digitally. Restaurateurs have to adapt to the customer demand for digitization, a challenge that can bring great benefits as technology also offers effective tools to improve restaurant management. It allows to coordinate the activities, providing an excellent service, able to attract customers; allows you to expand the gastronomic offer, as users find information on the web and are more open to trying out new ingredients and dishes; facilitates loyalty as it allows you to offer personalized experiences. We therefore bring you the various things to do in a “digital” form in a restaurant. You can order the dishes directly from the smartphone, pay the bill using an app, customize the menu with a simple click, book a table thanks to a digital platform and rate the service, or the chef’s cooking skills, on the web page of the restaurant. But what are the advantages of a digital restaurant? First of all, we discover that thanks to digitization, even restaurants that are not in the center can have greater visibility. The reviews of customers, or positive feedback released online, will do nothing but bring new people into the room, thus encouraging a word of mouth on the network can increase the number of customers. 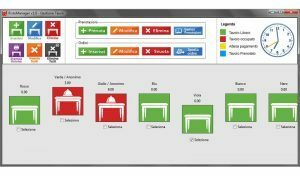 The use of software allows restaurants to optimize bookings and operations, and to improve service and revenues. It is a practice successfully used in the tourism sector that allows you to vary prices depending on availability. 1.Restaurants that for the moment do not want to attract more customers and do not have a long-term business vision should try to offer a wifi connection and a Facebook page. 2.Restaurants that want to attract more customers and understand network-related opportunities are focused on specialized portals, have a website, receive online reservations and are on social networks. These are structures that are moving from paper to digital and whose staff are becoming familiar with online booking management software. 3.The restaurant that has the majority of customers who book online and who is dedicated to personalizing the service to retain them. It has many tools to increase sales and save time and restaurant management software, use social media, have a website with the booking button and respond to reviews. 4.Restaurants that use technology to provide multi-sensory experiences, such as augmented reality glasses or interactive tables. These facilities are fully managed digitally, using statistics and data provided by the management system to make business decisions, make investments in marketing and email marketing campaigns, manage online opinions and are attentive to their online reputation. 5.Restaurants without tables and chairs: this is a new business model, where food is prepared exclusively for home delivery. The relationship with the customer is always mediated by a mobile application. To make the customer experience as unique and personal as possible, companies in the sector must pay attention to consumption habits, activity history and interactions through apps or social networks. All information can be exploit to offer the consumer what he wants and even anticipate his requests. The needs of the catering sector today concern the ability to exploit information to build a tailored customer experience. It is necessary to put the customer first, that is the center of attention. It is a question of recognizing the customer and proposing his favorite dishes, already in the box or at the time of ordering. When the consumer feels pampered, he is more likely to return to the room for another dinner, perhaps to add a dessert to his order and leave a positive review by sharing his experience on social networks. Restaurant software innovations can transform problems into opportunities. Because, despite having complex functionalities and capable of managing all internal processes and interactions with customers, they are to be used by employees. The applications developed for restaurants are born and developed for the consumer, for this we need to go beyond the simple, allowing the customer to pay the bill via mobile. The optimization of the marketing strategy can be continuous also thanks to access to real-time data on customer interactions to be transformed into new initiatives and activities. Depending on the objectives, the promotion of the brand and the interaction with the public will help to reach them in different ways, but always with a scientific track of the results. When it comes to catering, we mean a real commercial sector that concerns the production and distribution of meals for customers, as well as also the automatic distribution. In this context, the companies that operate are different: restaurants, school or hospital canteens, catering companies and companies that manage the distribution of drinks and food through vending machines. The catering sector has found wide development thanks to the needs rising from the world of work, or the study and the tourism sector. In fact, the habits of people who tend to eat meals outside the home and have less and less time are constantly evolving, so that the restaurant, in addition to the traditional type, is evolving towards new forms that meet the needs of its customers. It’s time to delve into a specific branch of naval catering. This is a sector of a long tradition, which is expressed according to a classical system. Or traveling and staying for several days on a ship, at sea, here it is as if you lived on land, so there are restaurants that prepare daily dishes, diversifying the type of cuisine and the type of offer, that is, more dishes rich and expensive to the simpler and cheaper ones, just to meet the possibilities of every passenger. Furthermore, this system also brinks from the fact that there is not the possibility and the space to conserve considerable and different quantities of food; precisely from this we mean it as a traditional method. In the naval restoration the foods undergo all those that are in the working processes, in the sector way: therefore from the phase of supply, storage, processing, to the presentation of the dishes in the various possible recipes. 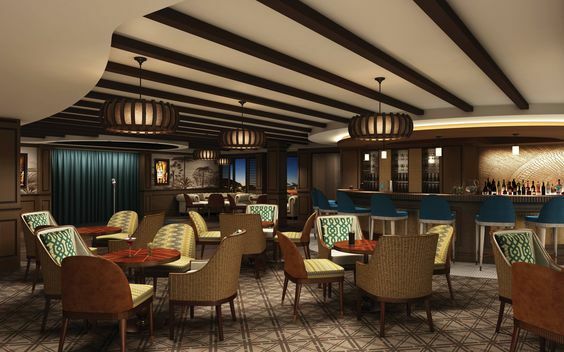 Cruise ships are the emblem of this form of catering, which with the increasing trend from the tourism point of view, has acquired a certain level of business. In the naval restoration it is necessary to consider that for the numbers of the dishes prepared every day, therefore both for the supply of the raw materials and in the different stages of processing, it is necessary to pay great attention to the hygiene rules. It is considered that on average in a cruise ship there are about 5000 people between passengers and crew, so a real small city. This means that the kitchens work 24 hours a day. Hygiene is important because in the case of an intestinal infection, considering all the people present, what serious consequences could it have? Therefore we must organize the dispensations well for a good preservation of food; furthermore, fresh items such as fruits and vegetables are often purchased from time to time in the various stages during the journey. The rule is that every type of food is stored in an environment isolated from others so as to avoid any possibility of contamination. Even the kitchens have a division for departments based on the type of food that is prepared, whether hot or cold dishes, desserts or bakery stuff. Also for the washing of dishes there are specific and separate areas always to ensure maximum hygiene. A sector that of the naval restoration that has the well defined and most organized working standards to allow in environments like the ships, to be effective, fast and guarantee every form of security and trust to all the people that for a determined period are present on board. A complex work that must be perfectly organized, that of the naval restoration, where the high numbers of prepared foods, need a management and organization that can not be developed on board, but from the ground. On board the ships are performed only under the supervision of the chefs and those who take care of the service, but it is on the ground that the menus suitable for each season are tested and designed, and from the indications that are sent to board for preparing dishes. To make this type of service so functional, the presence of companies dealing with naval supplies is important, supporting large and large catering and restaurants activities. Speaking of catering, means to mean a service addressed directly to individuals where there is mostly human contact. Even if technological evolution is allowing this form of service, in addition to take place directly, it is also expressed through forms of intermediate, such as in food delivery, where simply through a platform or application, you order the favorite meal that comes after a short time delivered directly to your home, at work, and wherever you want. The restaurant, which for some general aspects knows no crisis, even if some traditional models have taken steps backwards, this sector shows a remarkable growth trend, with consumption and in particular that of meals outside the home which has good percentage points of growth. This does nothing more than foster the development of activities and build the best possible services to meet the new needs of people. We can therefore identify how catering works in the tertiary sector: in fact, different forms are distinguished which differ in commercial, collective catering and catering and banqueting services. Commercial catering includes both the hotel branch, the typical restaurant, the fast one and the traveling one. Railway, air and naval catering. On the other hand, collective catering is aimed at well-defined categories, that is, a large number of people belonging to a group that need to use the same service. Catering and banqueting, on the other hand, express the concept of genuine service rendered to the catering world; where catering mainly intervenes in collective catering, while banqueting, which consists in organizing receptions and banquets in private environments, represents a constantly growing alternative to the type of restaurant or hotel catering. Therefore, identifying the differentiations between the different areas, it becomes clearer to understand how the catering sector works in the tertiary sector. To fully understand how works catering in the tertiary sector , we must also see on some details that are different according to the forms of catering that we have previously listed. Also in the case of restaurants of a certain level or according to the type of cuisine on which its offer is based, even the dishes have a presentation of a certain esthetic level. 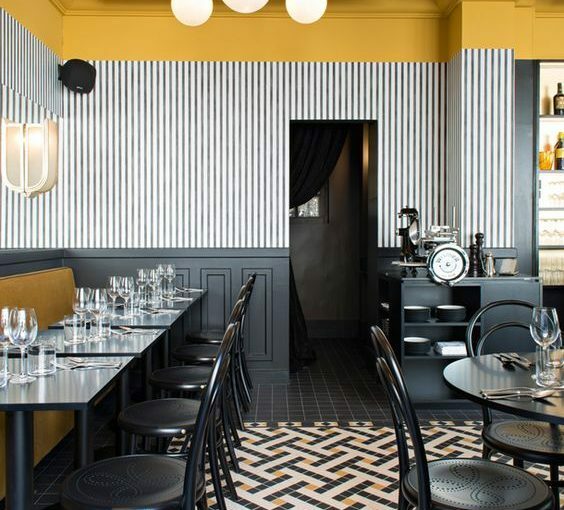 This is because every restaurant activity aspires to uniqueness and because the kitchen is also a true form of art. Same concepts also in catering and banqueting services, where you have to present your brand well and get positive reviews to continue to have market and demand. In the case of collective catering, however, other factors come into play: in addition to hygiene and food safety, there is less attention to the aesthetics of the dish, but more control and balance from the nutritional point of view. The dishes are born from the joint contribution of chefs, nutritionists and sometimes medical personnel, with the supervision of hygiene experts. Our general overview has given us important indications on how the catering sector works in the tertiary sector; a sector that represents a good part of the economy and is able to differentiate from traditional to more advanced methods, always providing more complex services. An area in which the relationship with the customer is fundamental, where mutual trust is important; moreover, the flexibility of the use of resources is important so that they are adapted to customer preferences and seasonal or cyclical moments that follow each other. IT, telematics and globalization have had a major impact on the growth of this sector and will continue to do so in the coming years, with unforeseeable consequences at this precise moment. 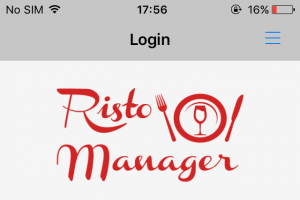 Did you know that Ristomanager is restaurant reservation management software? In this article, we will help you find out how to manage reservations with our software, explaining step by step all its features. The main things to know about the management of reservations are two: the first concerns the inclusion of customers, or when a new booking arrives, you can enter or a new customer or use the name of a customer already existing in the database; the second is that, we can associate several reservations to a single table, paying attention to select a different time slot for each one. After having explained the basics to know about the insertion of customers, let’s now explain the 4 main points for managing reservations. 1) Booking entry: what is essential is to select the table on which you want to enter the reservation and then click on the Book button. 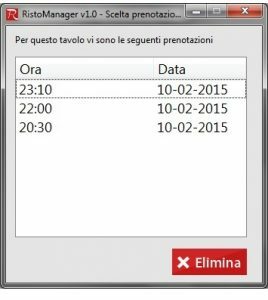 This will show you a window in which you must enter the name of the customer, the name of the table, the date and time of arrival and the number of people. 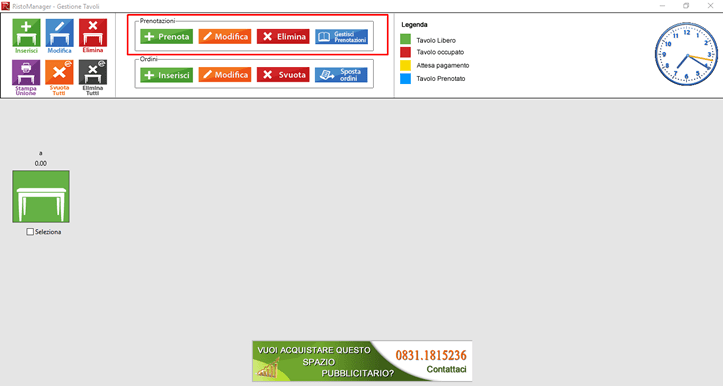 To enter the Customer Name, at the top right we have the option of using two buttons: the “New” button and the “Search” button. In the first case, another window will open in which to enter all customer data, which will be saved in the database, while in the second case, a window similar to the one opened by the Customer Management button of the main interface will open. 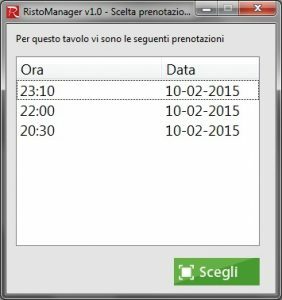 If you enter more than one reservation on the same table, Ristomanager will put them in a list, which you can view via the Change button in the Reservations section. 2) Modification of reservation: as for the insertion, you must select the table on which the reservation is inserted and click on the Modify button. Select the time slot to edit and then save. 3) Delete reservation: same as for entering and editing, you must first select the table, and click on the Delete button. Then you will need to select the reservation to be deleted from the Booking Selection window that will open in case several reservations appear on the selected table and then press the Delete button. 4) Booking management: in the Booking Management window, all the functions seen in the other 3 points will appear. This will also be useful to view all the bookings in progress, so as not to lose sight of the situation. The Insert, Edit and Delete buttons appear on the screen. This will allow you to manage bookings more quickly, especially in times of intense work. You can then view the complete list of reservations and selecting them you can immediately see the customer data as the company name, address and telephone contacts. 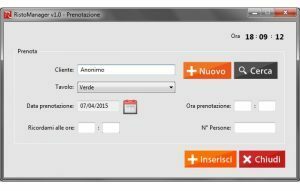 It is also possible to carry out a search by customer, as well as for a table that can be selected from the table list window and can be activated with the button of the red magnifying glass. In addition, through the Calendar, you can also search by entering the Start Date and End Date desired. I hope this article can help you better manage your bookings. 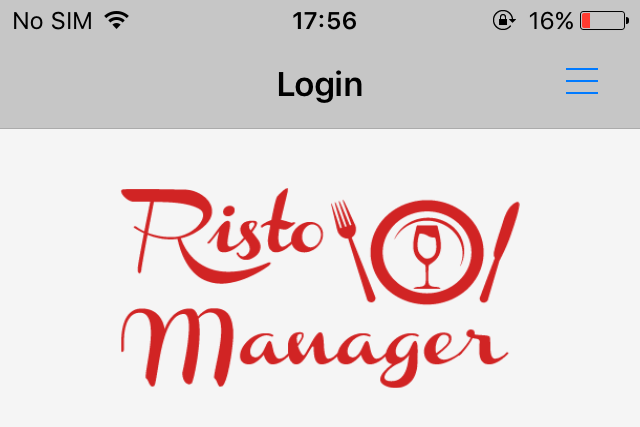 We recommend to all of you the purchase of Ristomanager both for the management of reservations, and for the many features it has. We just have to wish you Happy Download. The typical Sardinian cuisine is divided between marine cuisine and pastoral and peasant cuisine. This division is due to its territory characterized by coastal areas and mountainous areas. There are many typical products, among which we find cheeses, fish, wines and desserts. Among the most important cheeses are the “Callu de crabittu”, a product that is made starting from the residues of the last breast milk, which are closed directly in the fourth stomach of the kid, so do it before curd and then season . It is a very rare preparation, which still makes only a few shepherds. The most particular cheese of Sardinia is the “Casu muchidu”, that is cheese with worms. A peculiarity that is due to the cheese fly, which lays the eggs inside the form, leaving the larvae. These feed on cheese and change its flavor. Impossible not to know the “Pecorino sardo”, one of the most famous cheeses, made with pasteurized Sardinian sheep’s milk, rennet, salt and lactic ferments. Among the first courses of the Sardinian tradition there are the “Malloreddus”, a type of gnocchetti flavored with tomato, spinach and saffron; they are seasoned with a full-bodied sausage sauce or with cheese. 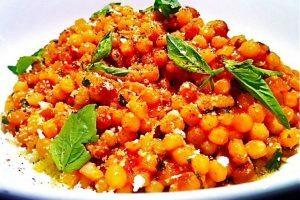 The Fregola is produced by “rolling” the durum wheat semolina inside a large earthenware basin: this way you make balls between 2 and 6 millimeters which are then roasted in the oven. It is a very versatile product: it can be eaten in a dry version, seasoned with tomato sauce and basil, or in broth, usually prepared with clams and cooked in a fish sauce. The second dishes, however, are characterized by the presence of meat. The most popular dish is the Porceddu (pork), cooked on the grill. Usually it is preferred to use a milk pig. Myrtle and rosemary are often used to flavor the pig and are served with roast potatoes or other vegetables. The Boar is an alternative to roast suckling pig. Wine is often used to cook it. As for desserts, we find the Seada, prepared with a form of cheese typical of the inland areas of Sardinia. The real Seadas are prepared with a lard based pastry and an acid cheese filling; they are cut into discs and then fried in boiling oil. After cooking, they should be served with honey, or with granulated sugar, according to taste. Other Sardinian sweets are the Pardules, that is to say pasta dough filled with ricotta cheese, orange peel, saffron and sometimes raisins, Sardinian zeppole, Amaretti, Gueffus and Candelaus. To taste all the delights mentioned above, here are the 10 best restaurants in Sardinia. Su Carduleu – Abbasanta (Oristano) – At the head of the kitchen we find Roberto Serra, who enhances, revisiting the local cuisine. Attention in cooking meat is another salient feature in the Serra kitchen. From the cooked loin at low temperature, to the plate that enhances the quail, passing through the marinade. The Locanda Dei Buoni E Cattivi of Cagliari – The cuisine is a journey through the taste of fresh and genuine products, of the land and the sea. They use fruit and vegetables from farmers. Every day, home-made bread and pasta are made with durum wheat flour made from stone mill and wooden sieves. 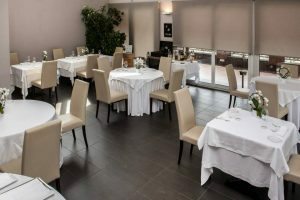 Su Tzilleri And Su Doge of Cagliari – trattoria and family tavern that offers typical Sardinian cuisine, characterized by a careful study of the ancient Sardinian recipes, prepared according to the original methods. The protagonists of the dishes are the fine, fresh, seasonal ingredients from small Sardinian agro-pastoral producers who boast the excellence of their Sardinian products with a unique and genuine flavor. Santa Rughe – Gavoi (Nuoro) – the ingredients are sought in the wild territory of Barbagia, the heart of Sardinia, and in the surrounding area. 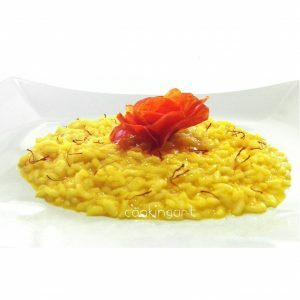 The dish is always the result of a strong culinary passion and the excellent quality of the raw material. The menu follows both the season and the availability of fresh and genuine ingredients. There are some strong and always appreciated dishes such as ravioli with wild boar ragout with delicate gnocchetti with fresh ricotta, saffron and mint. There is no shortage of typical dishes such as s’erbuzu, a variety of wild herbs typical of gaviese and barbaricina cuisine. Il Portico di Nuoro – The specialty is to turn every meal into an experience of rediscovering taste. The flagship are the ingredients, which are always strictly fresh and seasonal. Il Rifugio di Nuoro – An authentic cooking workshop between art, passion, study and research that has always been celebrated among connoisseurs. The exquisite hospitality, combined with the highest gastronomic professionalism, in addition to the genuineness of the products used and the skillful presentation are the only ingredients. 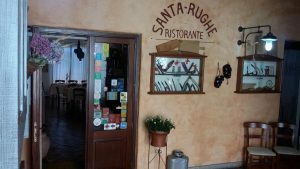 Antica Dimora Del Gruccione – Santu Lussurgiu (Oristano) – The restaurant is prepared exclusively with the quality products of Montiferru and on a selection of the best regional PDO / DOCG products. Sas Benas – Santu Lussurgiu (Oristano) – is a village full of typical products of excellence, a symptom of a strong link with tradition. The secret lies in the rich pastures, in the presence of rare plant species and communities and in the abundance of water. 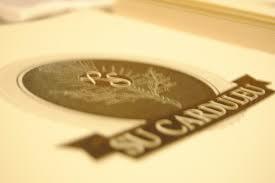 S’Apposentu at Casa Puddu – Siddi (VS) – is a laboratory of experience and dedication to the great kitchen. The flavors are transformed into new creations and it is understood that the elegance of the kitchen comes from authenticity. The Ligurian cuisine is inspired by its recipes from the Mediterranean diet, consisting to the combination of seafood and products of the earth, but simple dishes are enhanced by the use of the many aromatic herbs that grow spontaneously throughout the territory, typical of the Mediterranean . Among the local products that have great value there is olive oil, base and seasoning of the main dishes of the Ligurian gastronomy. The gastronomy of Liguria is characterized by the wild herbs of the area (marjoram, sage, rosemary, laurel, thyme etc.) and the products of the home garden (onions, potatoes, basil, aubergines, etc. ), the first fruits of the crops and of the woods (basil, ox heart tomatoes, courgette trumpets, asparagus and Albanian artichokes, mushrooms, truffles from Valbormida, fresh fruit and dried fruit), olive oil, farinaceous products (focaccia, farinata, savory pies, etc.) ), the wide range of dry and fresh pasta, the catch of the sea (anchovies, shrimps, octopus, octopus, cuttlefish, muscles, mullet, etc.) and game (given the high woodiness). 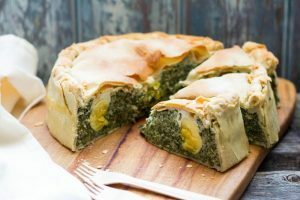 Vegetables used in Ligurian cuisine are very popular, as in the Torta Pasqualina, a savory pie filled with many vegetables mixed with eggs, marjoram and cheese. The most famous olives are the Taggiasche, brown, very used to flavor fish dishes and white meats like the “Ligurian Rabbit”. 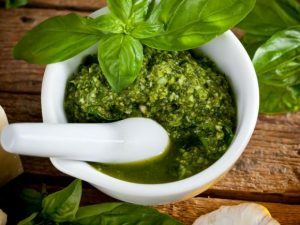 Pesto is definitely the symbol of Ligurian cuisine and is prepared with the stone mortar and pestle, a tool used to grind the basil with the garlic and Sardinian pecorino cheese, crushing everything until a very thick cream is obtained which finally softens with olive oil. For a snack or aperitif are often used, the farinata made with chickpea flour, water, salt and oil and cooked in the iron pan called “tian” in the stone oven and the Genoese focaccia, made with a common dough to which is added the oil. Panissa is a chickpea porridge without oil that is boiled and, once solid, cut into cubes and seasoned with oil, lemon and pepper. Among the typical sweets of Liguria we find the Canestrelli, the Lagaccio biscuits, the Castagnaccio, the amaretti di Sassello, the baci di Alassio, similar to the baci di dama, the Genovese Pandolce rich in raisins, pine nuts and candied fruit. Canestrelli biscuits are very brittle in the shape of a daisy with a hole in the center and sprinkled with powdered sugar, made with a lot of butter, flour and sugar. 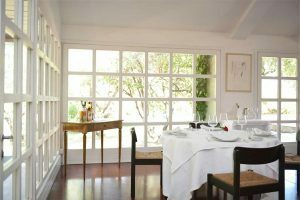 The Cook – The kitchen, managed by Chef Ivano Ricchebono, awarded with the Michelin Star offers both gourmet dishes and simple dishes of the territory linked to tradition. A wide selection of colorful finger foods, carefully prepared by the Chef awaits you. 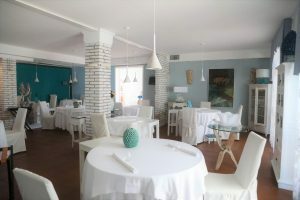 La Conchiglia Restaurant – is an elegant and very refined environment, located in a 19th century house near the sea and with a beautiful view. 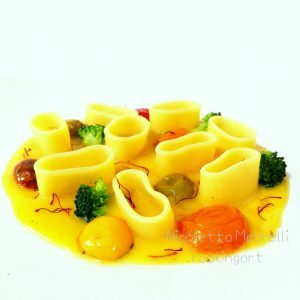 The cuisine is research, creative, specialized in pasta dishes and fish dishes. San Giorgio – Cervo (Imperia) – Dishes consist of Fish, Crustaceans, Seafood and Seasonal Vegetables. The kitchen is attentive to new trends: Molecular, Deconstructed, Fusion, but if we want to savor a dish and distinguish the ingredients that compose it, the rule is a good use of the raw material and simplicity. 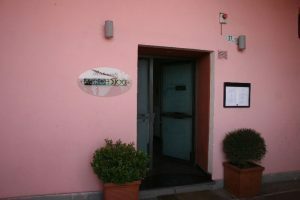 The Agrodolce Restaurant in Imperia – led by Chef Stellato Edoardo Ferrera. The products are top quality and its dishes are distinguished by the finesse in the preparations and for the strong flavors. The Sarri Restaurant in Imperia – The peculiarity is in the fish cuisine with unusual but balanced combinations. The style of Chef Andrea Sarri, draws partly from tradition, but is open to gustatory exploration and surprising combinations. The root is in the research of raw materials, of great freshness and quality. The Paolo & Barbara Restaurant in Sanremo – located inside a 19th century building, reserves an intimate setting of only 30 seats. The quality of the raw material and the enhancement of the products of the Ponente Ligure have always been at the base of the philosophy of the Chef. 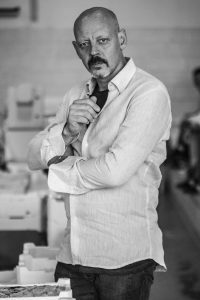 Mauro Ricciardi at the Locanda dell’Angelo – led by the Stellato Chef Mauro Ricciardi, attentive to the research of raw materials to aromas and flavors. It is a place to feel at home and be pampered. The Claudio Restaurant –offers a cuisine that respects the flavors of the raw materials, aromas and herbs of that blessed land that is Liguria. The protagonists are the noble fish and crustaceans. La Locanda dell’Angelo – cooking is a mixture of tradition and innovation, between sea and land, between Liguria and Piedmont, but with a careful eye also to the techniques and the avant-garde tendencies of the moment. The Vescovado – simple and local recipes, Ligurian and Mediterranean, are transformed into sublime masterpieces of haute cuisine. Chef Giuseppe Ricchebuono works with local ingredients: fresh fish from the Ligurian Sea, herbs has harvested in the first hinterland and vegetables from Albenga. You just have to choose which one to try !!! Food Design is the fusion between the art of designing and that of cooking. Food design is the term that encompasses the process of design studies and research leading to the emergence of products related to food. This discipline deals with the design and design of food, parts of complex food products and products related to them in some way. Food Design meets and mixes various disciplines such as biology, genetics, anthropology, psychoanalysis, food sociology, research on sociability and social mediation, along with the history of kitchen systems and forms of conviviality. .
Works of art to eat, dishes that seem painted, or restaurants that thanks to a careful mix of style and design, can become famous, affirming its own brand and its name that remains imprinted thanks to winning and striking images. 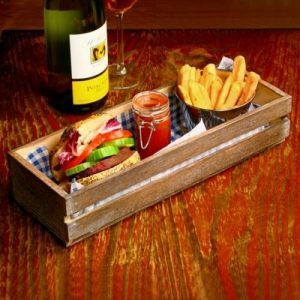 The secret is the choice of appropriate food design, which is able to find consistency between the image of the table and that of the dishes that are served. The food design can help in the study and in the realization of the packages, those that more respect the company philosophy, that better communicate the product and that at the same time show it to the best, enhancing it. On the other hand, as far as the managerial sphere is concerned, it is the one that provides consultancy to catering companies. To understand what a Food & Cook Designer really does, we have interviewed Nicoletta Mearelli, an expert in this field, for you, and we’ll tell you what she told us. What was your professional training? After studying cuisine I specialized in Visual Food and plating, deepening a lot through the study of various international cuisines and the relative presentation of the dish. In the culinary field and especially in food design, the humanities have helped me. In literature there are many references to food and it is fundamental to know the history of popular traditions to find ideas for improvement. 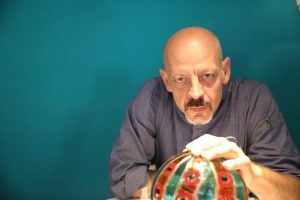 I have been a lecturer in Visual Food and serving at the Gambero Rosso in Rome and Naples at a professional and amateur level. Now I deal with teaching, often individual, aimed at professionals and I work with restaurateurs both for what concerns the preparation and the food management. What does a VisualChef and a Food & Cook Designer do? I deal mainly with the aesthetics of the dish in its entirety, from a single dish to whole dishes, I work with restaurateurs and catering for the daily service and events, trying to hit through the beautiful and good to eat. As a food and cook designer, I take care of creating and creating dishes or whole themed buffets, respecting the initial idea of ​​the client, the environment and the style of a restaurant. In parallel, having done management for a long time I also deal with food management consultancy. The term VisualChef comes from what? 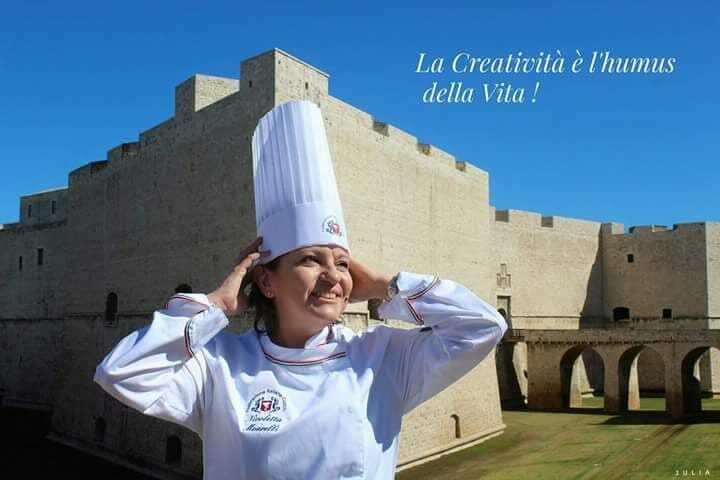 I started studying Visual Food at the Academy of Modena and became a professor myself in several cooking schools. Mainly dealing with plating and food design, in addition to being a cook, I found this term interesting that exactly combines the two aspects. 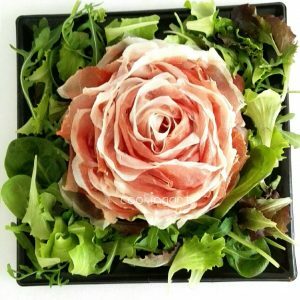 In very simple terms, a set of specific techniques, from cutting or positioning of foods through which we can represent in a dish everything we want, inspired by nature or a geometric or design object. A multifaceted discipline that allows you to apply creativity and imagination in different contexts of food. Where does the passion for his craft come from? Certainly from the passion for aesthetics and good cooked or raw food. From love for tradition and innovation without ever reaching extremism in the presentation of a dish, aimed only at striking with an image. In the kitchen we talk about food and nutrition, and the beauty and creativity should never, in my opinion, prevail over the taste and functionality of the dish itself. Therefore every creation or dish must respect, for example, the service temperature, texture, taste, combining the right balance with the style and tone of the restaurant. What do you think is important to convey to your students? The study, the deepening, the imagination and creativity applied to the choice of excellent raw materials of our territory that make our kitchen unique. Another aspect I particularly care about is the study of the techniques used in cooking and cutting. 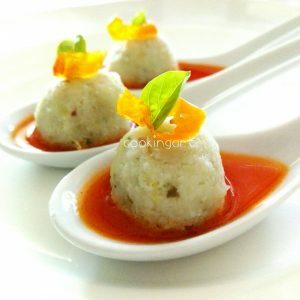 Studying and applying the techniques you can make great presentations enhancing taste and harmony of a dish. 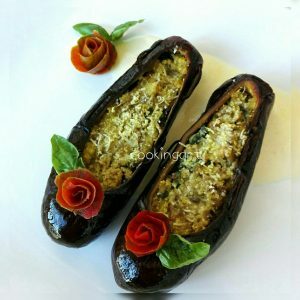 For those who want to learn more about the role of Nicoletta Mearelli and follow her projects, we invite you to visit her website www.cookingart.it. We just have to thank you for this interview and wish you so much luck for your career. The discovery of a new dish is more precious to mankind than the discovery of a new star. Even though it’s summer, a vacation period for most companies, our programmers are constantly working to improve our products and get to work to keep Ristomanager Gestione Comande software at the top. 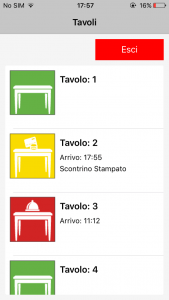 The 1.0.4 version of Ristomanager Gestione Comande has been updated in the Apple Store for iOS devices, which has provided for an intense week of work, to eliminate all the bugs, “errors” that our customers have reported. 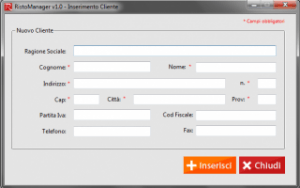 In our hearts among our customers we would like to point out Mr. Alberto Levito of Eurosportvil Srl, which he has helped us further to understand and improve our application, sending us also videos of when this crashed, and testing it several times in the ‘daily use, has reported the right combinations to get to solve all the problems presented. We would like to inform you that in the update the function that sets the timeout has been inserted, you can set the number of seconds during which the device tries to connect to your server (windows / linux / OSX). If, after the seconds you set previously, there is no response from the server, the iOS device will disconnect. The timeout is essential in cases where one has problems with line drops and / or the router is at a long distance. In fact, it is recommended to set it with a high number of seconds, not to disconnect the connected devices immediately. If a restaurant has line problems that often falls, it is advisable to increase the timeout time. We recommend 5 seconds. 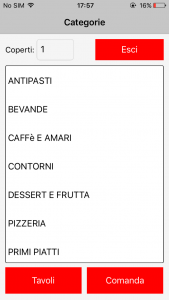 Another reported bug is that by clicking on the category menu, after choosing the dish it was not possible to click again on the dish and then proceed with the order now after arranging it, you can go ahead in choosing the other categories and dishes. 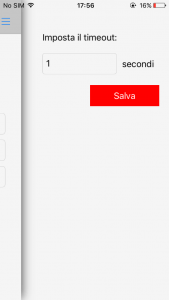 The problem that occurred after clicking on a particular table was also solved, and then the Button was selected to go back to the table list, the tables disappeared. In addition, the layout for iOS devices, has been arranging making it responsive, that is, is able to adapt graphically automatically to the device with which they are displayed, minimizing the need for the user to resize and scroll through the contents. So now you can view our software both from an Iphone and an Ipad without causing visualization problems. The restaurant “Pascucci Al Porticciolo”, in Fiumicino, was born from the idea of ​​Gianfranco Pascucci, to transform freshly caught fish into delicious gourmet dishes. In this regard, in fact, the Michelin Star was recognized to the Chef. This project was born from the passion of the Chef for all that is the sea. 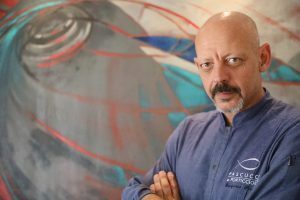 We have managed to interview for you Chef Gianfranco Pascucci, also known for his television participation in the program “The Proof of the Cook” and we report below what he revealed to us. Where is your passion for the world of cooking born? The passion for the world of cooking I do not know exactly when it was born. Probably there has always been, as a kid. Born from the interest in ingredients, for everything that surrounds me. Here, at Fiumicino, the sea surrounds me, but also nature. Think of the WWF right now. So from the taste of the individual elements. Then the game is to let them interact together. Crescendo, even that of cooking, the study of cooking, on what can be a form to give, a concept to bring to the table. We are now studying just this. Our great passion is to try to give a message, which is ours. Something that we feel to bring back to the customer. The customer himself is a vehicle to which we can transmit our emotions. Maybe if it works they are amplified and interpreted by the customer himself. What were your experiences at a professional level before having your restaurant? I am self-taught, I would say former self-taught by now. So the previous experiences have not been there. All that is Pascucci, Pascucci al Porticciolo, was born here in our restaurant, which saw us start in the most classical way and then slowly try to have our own form, an idea of ​​cooking and a thought outlined that is flanked by my Sous Chef Jlali Kerim for 10 years, but also by other guys who are part of the Pascucci team and who interpret and re-launch our concept. What feeling did you feel when you were awarded the Michelin Star? The first sensation was of amazement, because we had not been invited, because that year the winners were not invited with 1 Michelin Star. So of amazement, but also of comfort, because we were doing our best to improve our service, especially our kitchen. A feeling of joy and also of apprehension for what could later happen later. For how to try to improve again. There is not a single impression or a single emotion, but a series of falling emotions because then they slowly returned to one another. The feeling, however, that I remember clearly was the desire to say “ok, it’s a good starting point”. The people who came here, thanks to the Michelin Star, I speak of the boys and employees ready to receive what were our experiences, our attitude, our cooking methods and those of selecting the catch. In a sense, an affirmation. What are your experiences related to the knowledge of the sea and the seabed? The knowledge related to the sea, the depths are dictated by the curiosity that I had as a kid and joy to the sea. I am passionate about windsurfing. For its products, for the fishermen, for the ports, the boats, the nets and the different types of fishing, of the seabed, the different inhabitants, the marine ecosystem. The taste of fish, the differences between one fish and another, also linked to the desire to understand what is happening in the world, then imports. The curiosity to understand what comes from where, why. The passion also for those that are the brackish areas. My knowledge starts from curiosity, passes through a study and comes to a personal elaboration of what is a culture. Because the sea, the fish and the fisherman are culture. Our Italy is a culturally advanced sea area. My plans for the future are many. Every day is our future. Every day we always try to improve. We do not know why, but we know that this is a spirit that unites us, both to me and to Vanessa Melis, who is in the room, and all the staff. There is this desire to interpret the future by imagining day by day to have the opportunity to improve what we do. I do not deny that I would like to open a room that has more capacity for seats, that has a special, fun service. However, this is always in the background compared to what is our Pascucci Al Porticciolo, which is increasingly becoming an important reality for us. Truly a big something. From this interview we perceive how the passion has been rewarded. We just have to do best wishes to the Chef and his staff for what will be.